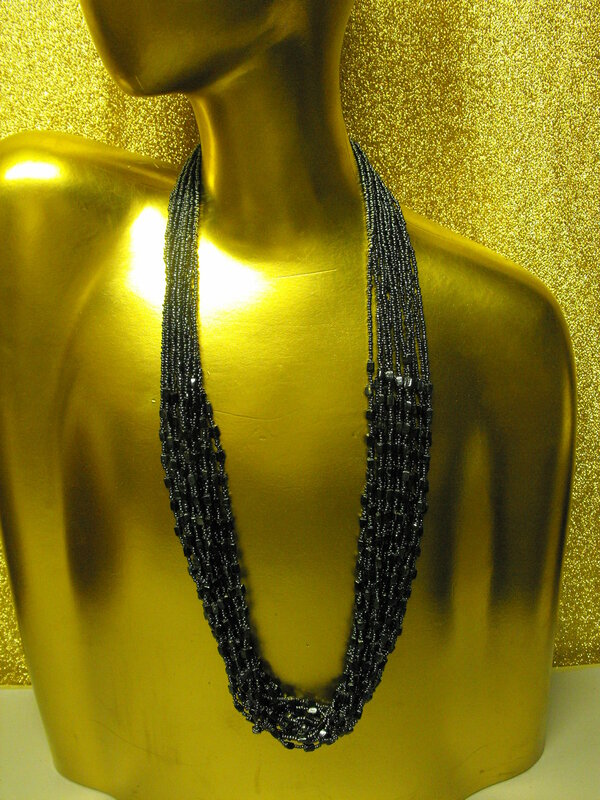 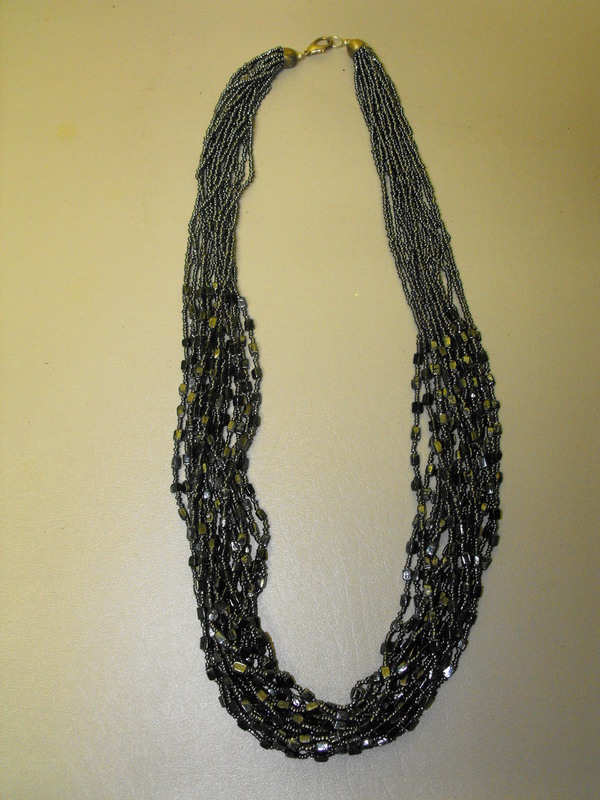 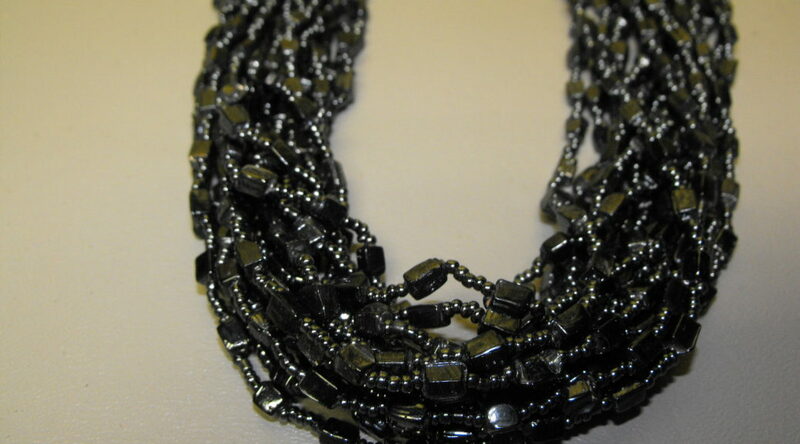 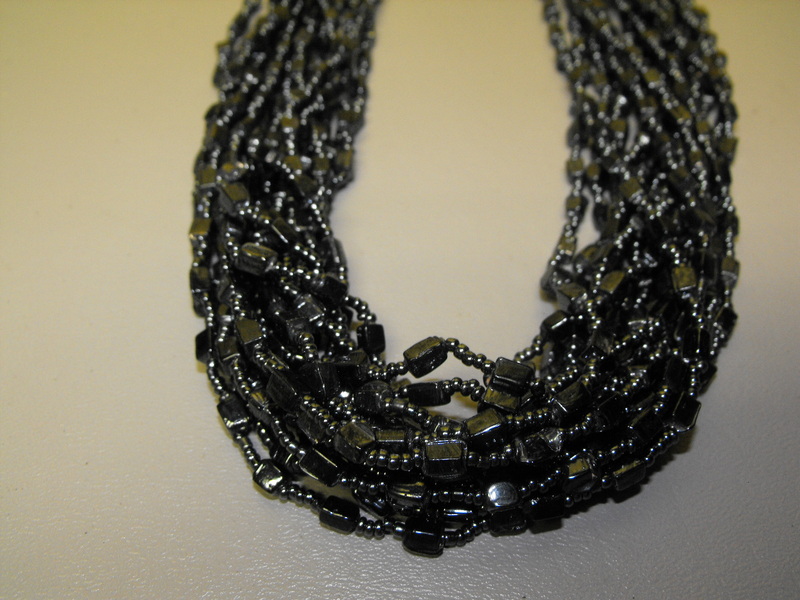 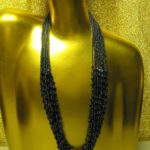 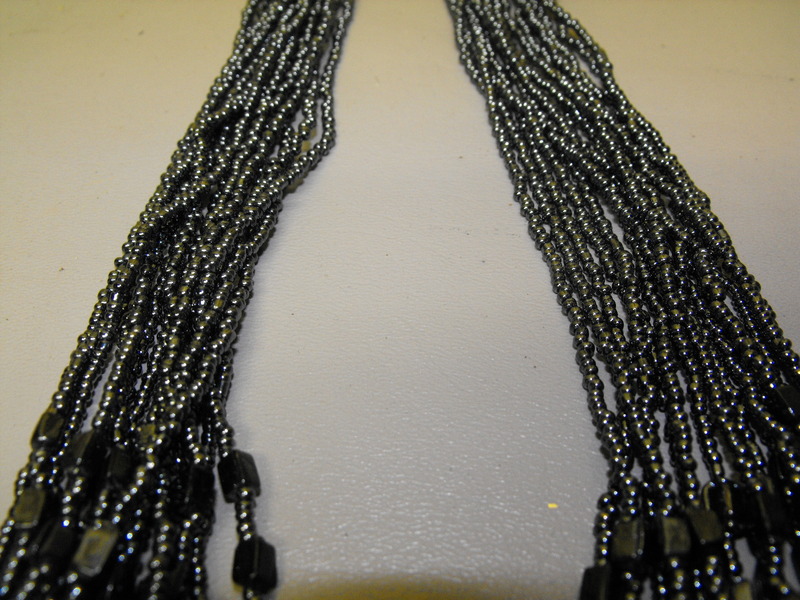 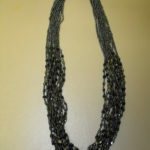 A Caviar color Hematite bead and black glass 15 strand necklace consisting of small Hematite beads which support black glass rectangles intermingled with additional Hematite beads. 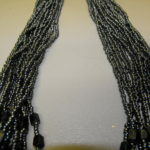 The necklace measures about 17″ in length and although it has a lobster claw clasp, it can easily slip over your head without opening the clasp. 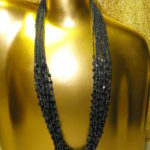 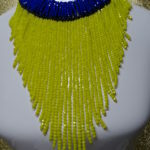 This is a very elegant necklace that’s easy to wear and accessorize. 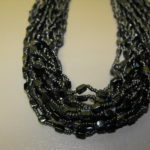 So, not as delicious as Caviar or as expensive, but is “delicious” to wear.